Hedgehog in the Fog (Ёжик в тумане) is a 1975 Soviet short animated film. It’s rather dark and philosophical, and not exactly meant for children; but even if you can’t understand every word, it’s beautiful and fascinating enough to be worth a watch. The film was directed by Yuriy Norshtein (Юрий Норштейн), a very well-known animator and director of Soviet animated films—another of his most famous ones, Tale of Tales (Сказка сказок), is perhaps even more depressing and obscure than Hedgehog, though similarly beautiful. 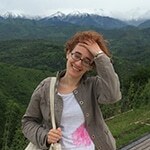 Norshtein wrote (with Lyudmila Petrushevskaya, Людмила Петрушевская) and drew that one, in addition to directing it. The screenplay to Hedgehog, and the short story on which it was based, was written by Sergey Kozlov (Сергей Козлов), a Soviet story writer and poet. 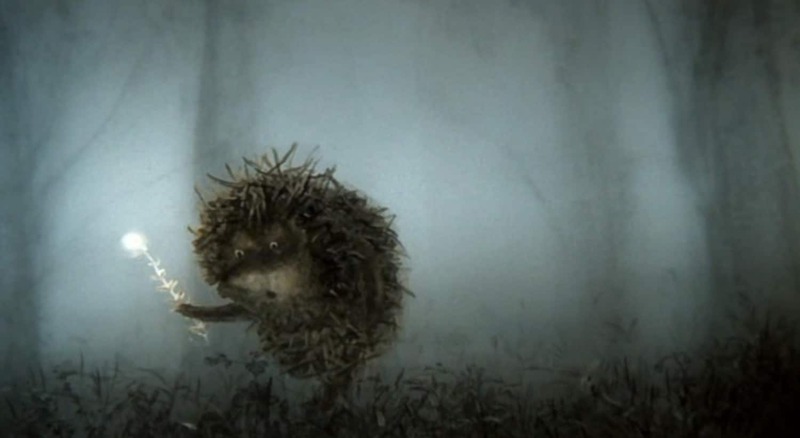 The film depicts a hedgehog walking through the fog to meet his friend, a small bear, for their tradition of drinking tea and counting the stars. The hedgehog gets lost in the fog on the way, though, and a brief but life-changing adventure ensues. The symbolism and meaning of the film has been widely discussed in Russian academic circles, but it’s also possible to watch simply for… well, not fun, exactly, but maybe for a look into the Russian soul, and a brief reminder that the Soviet Union was not wholly without its art. Indeed, Hedgehog was produced by the state animation agency Soyuzmultfilm, and it was shown at many official film festivals, where it picked up prizes. Norshtein won the State Prize of the USSR in 1979, and Maria Vinogradova (Мария Виноградова), the highly prolific actress who voiced the hedgehog, was named a People’s Artist of the RSFSR in 1987.